When it comes to getting workers’ compensation benefits in Arizona, there are certain notice and filing requirements that must be met. If you suffer a work-related injury in Arizona, you might be entitled to workers’ compensation benefits. In order to obtain these benefits, you’ll need to follow certain procedures. Failing to do so may delay your claim or—even worse—prevent you from collecting any benefits at all. Keep this information somewhere safe. It will be useful down the road. Enjuris tip: If your employer fails to provide you with the above information, it might be because your employer doesn’t have workers’ compensation insurance. If this is the case, you’ll want to consult with an attorney immediately to determine whether your employer should have workers’ compensation insurance and, if not, whether there’s some other legal remedy you can pursue. Once your employer learns of your injury, they’re also required to notify their workers’ compensation insurance carrier and the Industrial Commission of Arizona (ICA) by filing an Employer’s Report of Industrial Injury. This must be done within 10 days of learning of the injury. Seeing a doctor as soon as possible after your injury is extremely important for two reasons. First, even though you may be worried about recovering workers’ compensation benefits, your health should be your number 1 priority. Second, failing to see a doctor will raise doubts about the legitimacy of your claim. Visiting a doctor soon after your injury helps establish that your injury and claim are legitimate. If your claim is denied or your employer contests your claim, you’ll want to be able to provide solid medical evidence of your injury. To this end, be sure to tell your doctor that your injury was work-related. That way, your doctor will include this information in your medical records. The Worker’s and Physician’s Report of Injury can be obtained from your doctor’s office. You can also download the form here and take it with you to the doctor’s office. You can download the Worker’s Report of Injury form here. The form requires you to answer basic questions about your injury, including the date of the injury and the body part that was injured. You must fill out all sections of the form. Don’t forget to sign and date at the bottom. One copy must also be sent to your employer and your employer’s workers’ compensation insurance carrier. Enjuris tip: Though your doctor should know to send the form to ICA, don’t assume they will do so. Talk to your doctor about the form and be sure to follow up with your doctor’s office to make sure the form has been timely filed. Enjuris tip: If you have general questions about filing your form, you can contact: [email protected] or (602) 542-4661 (Phoenix) or (520) 628-5181 (Tucson). Do NOT email your form to the email address listed above. Doing so can compromise your personal information. Once your claim is filed, your employer’s workers’ compensation insurance carrier will be notified of the claim. The insurance carrier has 21 days to accept or deny the claim. If the insurance carrier denies the claim, you’ll need to file a Request for Hearing within 90 days from the date you receive the denial notice. An attorney can help ensure that you don’t miss any important procedural steps and can further ensure that you receive all the benefits to which you’re entitled. The earlier in this process you consult with a workers’ compensation attorney, the more likely your claim will be accepted. 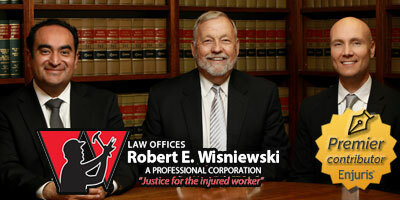 Visit our free online directory of personal injury and workers’ compensation attorneys to find a lawyer in Arizona.